Urban planning–the notion of sculpting the layout of cities and managing their development–is a fairly old discipline at this point, but it has been revolutionized in recent decades by an emerging emphasis on sustainability. This trend reflects pressing realities of the modern era of globalization, population growth, and land use. Ballooning human populations in general and influxes of people into similarly ballooning cities, even in regions until recently significantly, even predominately rural in population, highlight the need for urban centers designed with social equity and environmental impact in mind. Furthermore, an increasing awareness of climate change is having its own major impact on urban-planning philosophy. Large, spread-out cities and suburbs around the world increasingly reflect larger and larger proportions of the global population adopting a vehicle-based lifestyle; more automobiles and longer commutes translate to greater greenhouse-gas emissions. So do such revolutions of the 20th and 21st centuries as large-scale industrial agriculture and the reliance of globalized markets on long-distance transport of goods. Economics and social justice are tightly linked with the environmental issues of today’s cities, and are as much part of the definition of sustainability in terms of urban planning as is ecology. Lower-income communities who bear the brunt of industrial pollution or a city’s reliance on resources from well outside its hinterland are examples of the interconnectedness of the sustainability challenges modern urban planners contend with. More and more urban-planning academic programs are strongly emphasizing sustainability in the curriculum: the design and maintenance of cities with long-term environmental, social, and economic vitality. Even as the starkness of the challenges becomes more clear, a new generation of architects, engineers, environmentalists, and other professionals is emerging to tackle the issues. As with any enormous and incredibly complex problem, sustainability presents endless opportunities for creativity, innovation, and entrepreneurship. An example is city-planning with local urban agriculture and sustainable food systems emphasized. An impressive case is The Plant in Chicago, a venture devoted to transforming an abandoned industrial building into a food-production facility incorporating aquaponics and fueled by food waste from area businesses. Such initiatives, which aim to provide urbanites with locally grown food not reliant on energy- costly imports or environmentally degrading production methods, benefit greatly from innovation. Urban farms are an example of a sustainability-focused urban-planning initiative with plenty of auxiliary benefits. A neighborhood food garden brings community members together in a productive manner; introduces runoff-reducing and carbon-storing plants into otherwise sterile environments; and, not insignificantly, improves aesthetics. So do urban greenspaces, which refer to networks of parks, cemeteries, nature preserves, and otherwise semi-natural landscapes. These help offset urban carbon emissions and provide critical travel corridors and habitat for native wildlife; they also offer pleasant places for city-dwellers to gather, relax, recreate, and socialize. Providing alternatives to automobile reliance is another rich avenue for business innovation. Bolstering and diversifying public-transportation options, and expanding their coverage, help wean commuters off their cars. Expanding bicycle lanes and multi-use travel corridors is another approach. 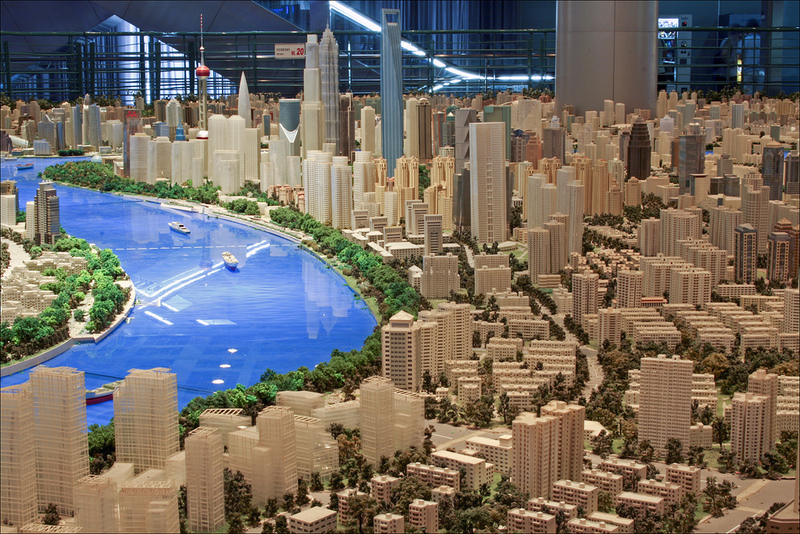 Sustainable urban planning requires long-range thinking informed by many disciplines. Too many cities have been designed with little or no grand scheme, growing awkwardly, haphazardly, and rapaciously. Many seem to take no account of the bioregions they belong to, which has major repercussions in the long-term: A city like Los Angeles, Phoenix, or Las Vegas can only grow so large and so fast before it bumps into the ecological realities of their semi-arid geographies. If segments of the population have limited access to quality healthcare and safe living conditions, the city itself is ultimately hampered. Global warming threatens established food systems and the distribution of water and other resources; it also has the potential to directly displace millions of people in coastal areas. These are intimidating problems requiring complicated solutions, but promoting and pursuing sustainability can mean the creation of many new jobs and industries. Innovators, perhaps more than ever, are going to be a hot and vital commodity. Sarah Rawson is an avid blogger with a longstanding career in environmental sustainability. She researches the benefits of various online sustainability masters MBA programs and has been contributing articles to various higher education blogs.